Michael Reed Gach, creator of the Acu-Yoga system, provides an ingenious combination of gentle yoga stretches plus guided self-acupressure to relieve stress and discomfort, and enhance vitality, circulation and wellness. Michael Reed Gach, creator of the Acu-Yoga system, provides an ingenious combination of gentle yoga stretches plus guided self-acupressure to relieve stress and discomfort, and enhance vitality, circulation and wellness. His easy-to-follow self-care steps are simple but quick, effective and empowering, and can be used anywhere. 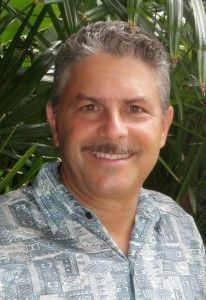 Michael Reed Gach, PhD - Michael Reed Gach, Ph.D is the Founder and Director of The Acupressure Institute, and the creator of the Acu-Yoga system, which combines yoga stretches with gentle pressure on various key acupoints, to target relief for very specific ailments.